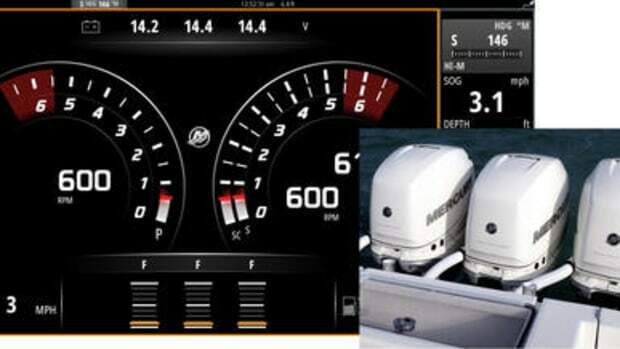 Now here's a truly different boating app screen. 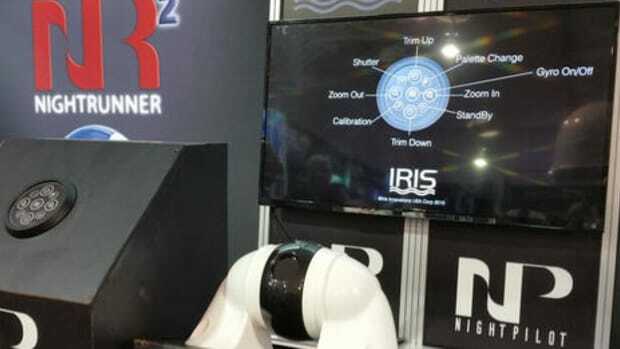 Tapping Boat Beacon's eye-like Live View button starts Flir One live video with the selected AIS target's name and bearing overlaid for positive identification. 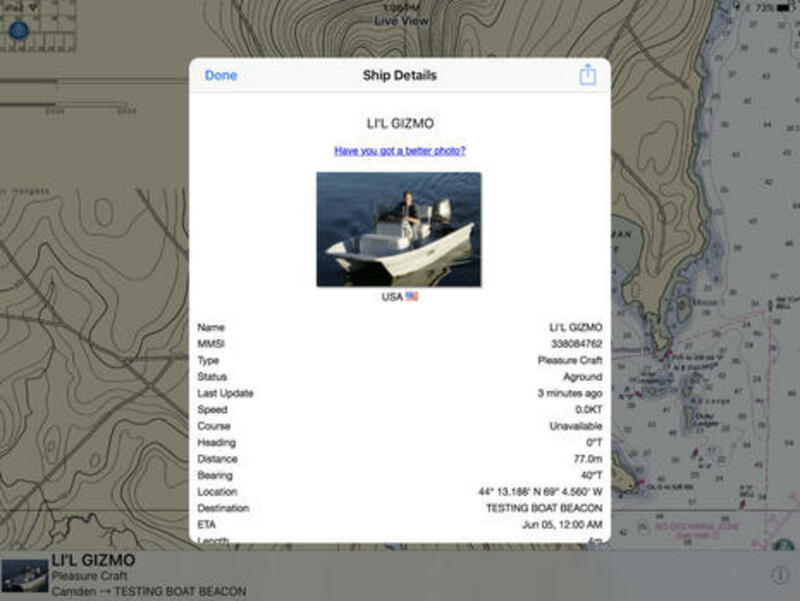 The Boat Beacon app running on the iPhone screen above looks like a fairly ordinary AIS target display app that can also show your own vessel. In this specific example your 28-foot sailboat is plotted on center as you head south at 5 knots into the Solent with the ship Morning Calm overtaking you to starboard. But, hey, it&apos;s pitch dark, the iPhone has a Flir One thermal camera attached, and Boat Beacon&apos;s "Live View" augmented reality feature can now make use of this night vision device. Now here&apos;s a truly different boating app screen. Tapping Boat Beacon&apos;s eye-like Live View button starts Flir One live video with the selected AIS target&apos;s name and bearing overlaid for positive identification. 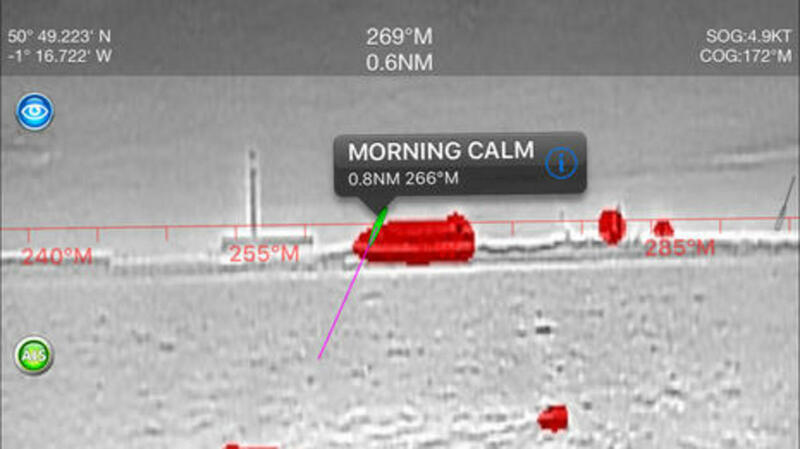 The thermal palette is set to show the hottest areas in red, which nicely highlights Morning Calm and the ships beyond, but also note how well the more distant and colder 650-foot Fawley Power Station tower shows up (Navionics chart here). 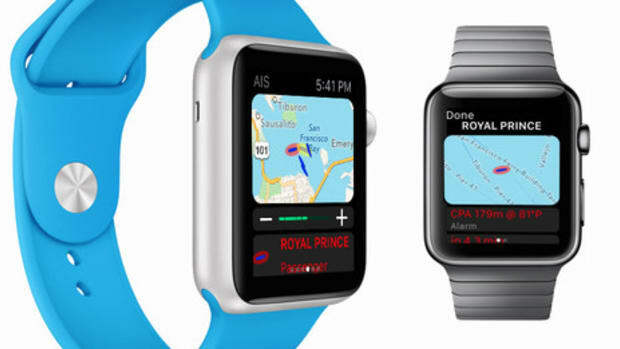 It&apos;s an especially impressive feature given that the Flir One retails for $250 and Boat Beacon costs $15 at the iTunes store with the Live View upgrade. 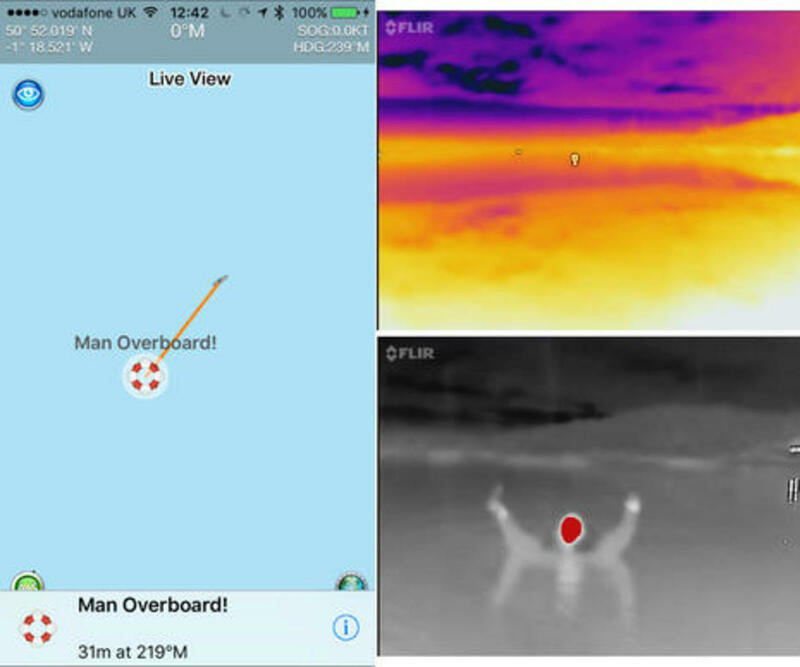 Pocket Mariner created a thorough blog entry about their Boat Beacon Flir One testing, which included a volunteer jumping overboard to see how the thermal camera could work with the app&apos;s MOB feature. Let&apos;s note that the maximum sighting distance for the MOB was only about 30m (100 feet), as seen on the Flir One screen above with the multi-color palette. But that&apos;s to be expected given the thermal camera&apos;s Lepton 160 x 120 pixel core, which is also key to the compact size and low price of the new Ocean Scout TK handheld cam discussed here in February (outdoor model reviewed here). 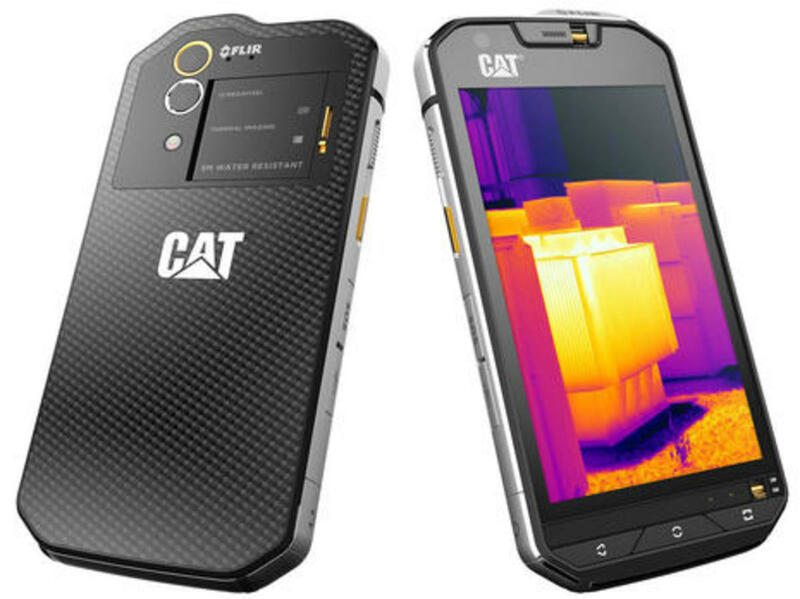 Flir is trailblazing consumer-level thermal vision -- it&apos;s even integrated into the Cat S60 phone discussed further down -- but detail at distance is not Lepton&apos;s strong suit. 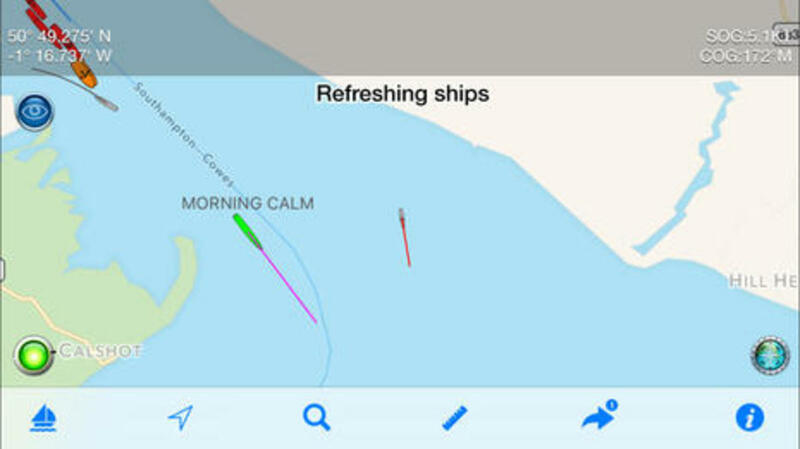 I want to note that the Boat Beacon app I first reviewed in 2012 has come a long way. 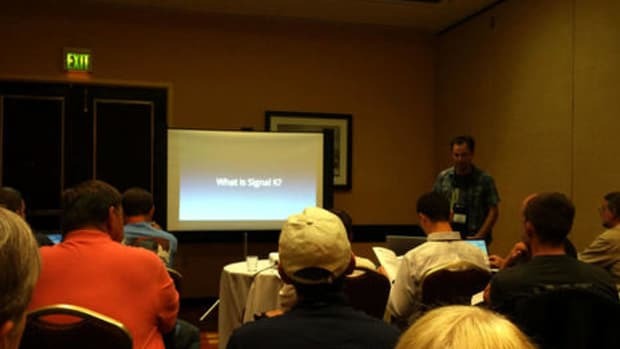 While I remain skeptical about using Web AIS info for actual collision avoidance -- largely because Web AIS coverage is quite spotty where I boat -- both the iOS and Android versions of Boat Beacon can now work directly with onboard AIS receivers and transponders via WiFi (or USB). 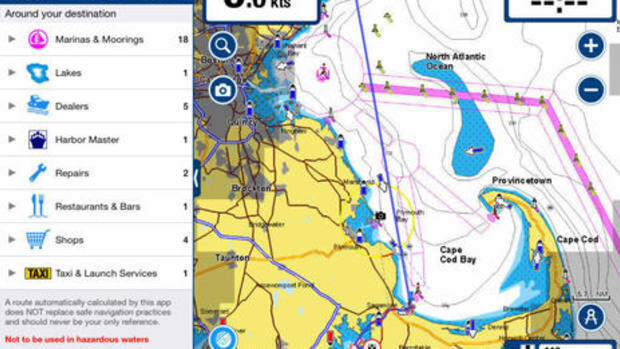 I have not tested that ability yet, but yesterday I did try another feature I value highly for its "social" aspect: Boat Beacon can put your boat on Marine Traffic and two other free Web AIS sites (AIShub and Shipfinder). 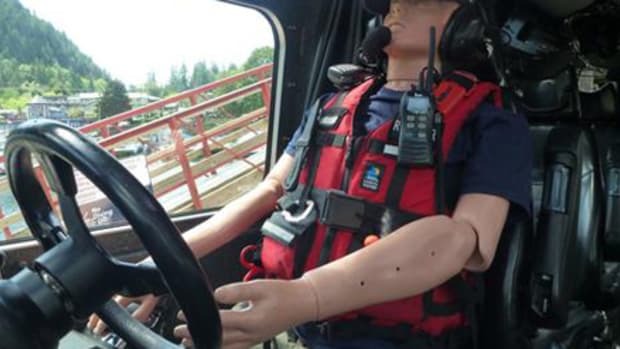 So on the Samsung Note 4 Android screens above I have entered the MMSI number for my little outboard catamaran now called Li&apos;l Gizmo and then tested Boat Beacon tracking while driving around Camden Harbor (the real and largely rehabilitated Li&apos;l Gizmo will hopefully launch in August). The app is not only displaying nearby AIS targets collected by Marine Traffic from local volunteer listening stations like Lyman Morse Wayfarer but also putting me on the MT app seen in the 3rd screen. 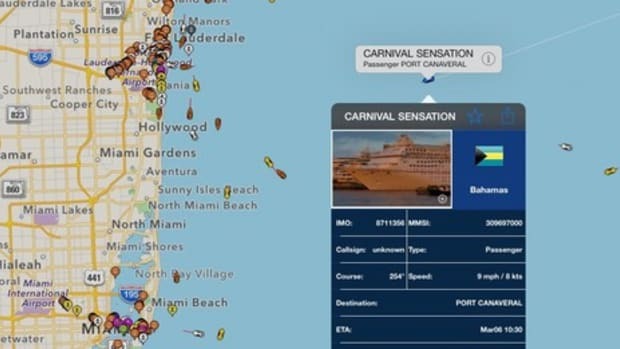 This feature is great for cruisers who&apos;d want friends and family to be able to track them regardless of regular Marine Traffic coverage (and it will also track cell coverage as I illustrated in 2012). 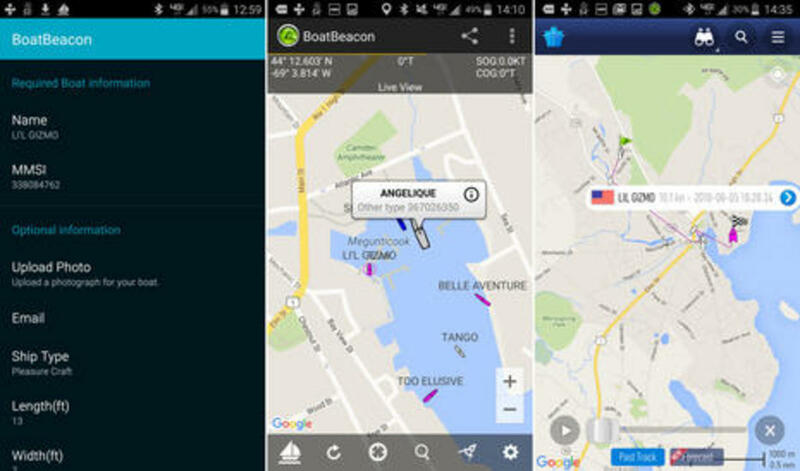 Unfortunately the Android version of Boat Beacon does not yet have the same Live View augmented reality feature that the iOS version does. 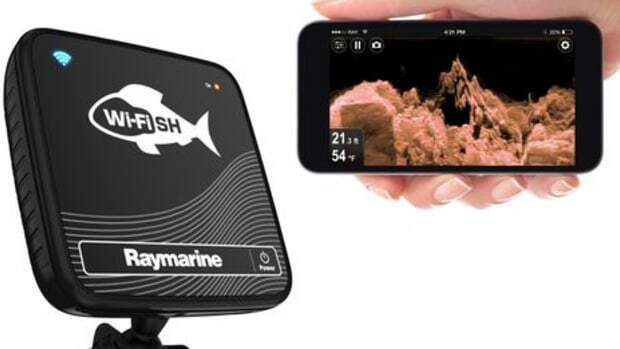 In other words it can&apos;t use my phone&apos;s camera with AIS overlay, let alone the Android version of Flir One, but Pocket Mariner says this is all possible and they hope to make it work soon. Meanwhile, I didn&apos;t illustrate Live View on my iPad only because I couldn&apos;t get it online around the harbor (a temporary problem), but the screen above does show how Boat Beacon can use NOAA raster charts (a $10 upgrade) and also how it can show AIS target photos and even let you add new ones right from your mobile.Fun! Now we&apos;re back to the Flir One. I completely understand why this second generation model had to be reconfigured as a dongle instead of a case -- Apple apparently changes models without telling accessory makers in advance -- but this design looks fragile for use on a boat deck at night. So how about an especially rugged and waterproof phone with the Flir One technology built right in? 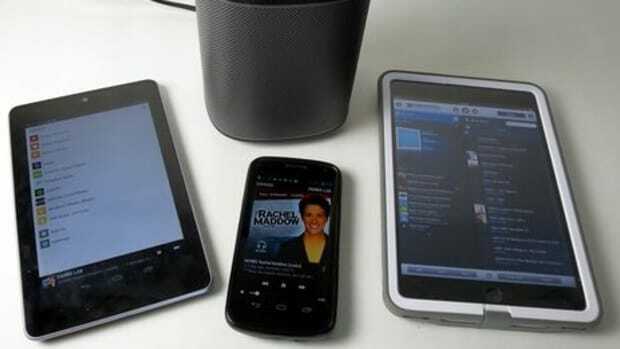 That&apos;s the exact profile of the Cat S60 Android phone which will purportedly ship soon and, yes, it&apos;s that CAT brand on a phone line "so rugged we&apos;re surprised it doesn&apos;t have a beard"! Claims for the new S60 include the ability to take underwater photos to about 16 feet and a "super bright" 4.7-inch Gorilla Glass touch screen that can be used with wet fingers or gloves. 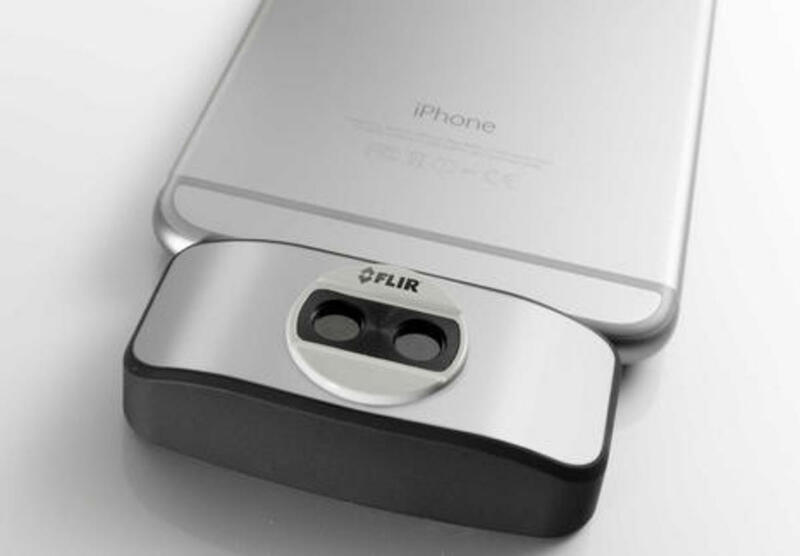 The phone seems to go well with many Flir One use cases, and no doubt some of the existing 3rd party Flir One apps will find a happy home there. Pocket Mariner is certainly interested to making Boat Beacon Live View work on the S60, and that will be quite a pairing.